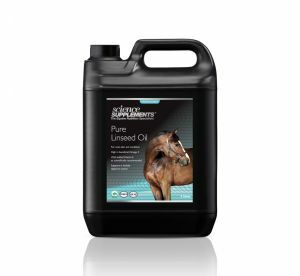 There are many situations in which we need to put condition on horses including loss of weight due to hard training and competition, during or following illness, in Winter and as horses get older. 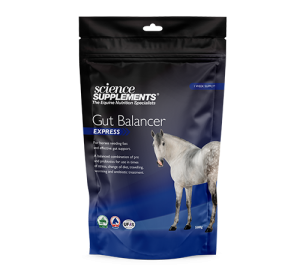 Failure to maintain or gain weight can be due to insufficient energy/feed being fed, compromised hindgut digestive function, high parasite burden, decreased appetite (e.g. due to gastric/stomach ulcers), abnormalities in metabolism, a damaged gastrointestinal tract or poor dental condition. There are a number of ways to encourage weight gain. 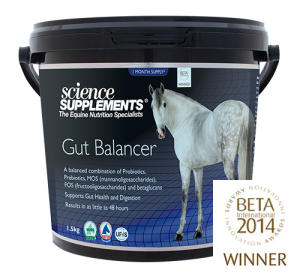 Feeding a high dose of a protected live yeast probiotic and prebiotic such as Gut Balancer improves the amount of energy a horse or pony can extract from its forage without any change in the amount of hay fed or consumed. This is often a good first approach. 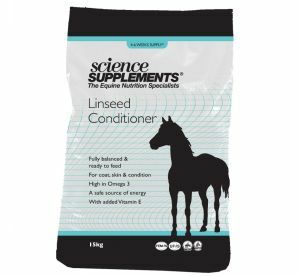 Providing a safe source of energy in the form of oil or oil and protein such as Pure Linseed Oil and/or Linseed Conditioner is also an ideal option as these are highly palatable, high in energy, low in starch and do not require chewing. The precise approach to weight gain depends on many factors. For expert advice on which approach would suit your horse or pony please contact our nutritional helpline on 0345 5046940.